Today is our last day of our Israel Holy Land tour, and we’ve decided to spend part of it underground, exploring the excavated tunnels near Jerusalem’s Western Wall. Something that makes Jerusalem so interesting to me is the amount of history that is located below our feet as we walk around. Because the city has been built, destroyed, and built again many times, the city’s streets and buildings are all built on top of the ruins of an older city. To give you an idea just how much history there is beneath our feet here: Jerusalem has been completely destroyed at least twice(probably more), it has been attacked 52 times, and captured or recaptured 44 times. Very few cities in the world contain this much history in such a geographically small area. Even today, new buildings need to be built in a way that allows archaeologists to still dig below the building. Kind of like buildings on stilts. 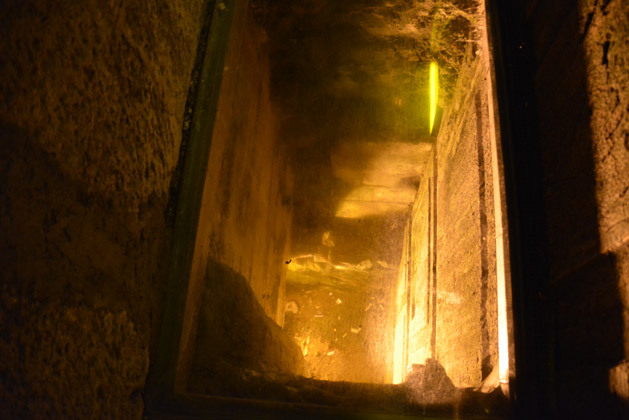 There is even an organization that allows tourists to participate in the sifting through the tons of dirt that has been dug up in Jerusalem. The above ground portion of Jerusalem’s Western Wall. The only way to see the tunnels is through an organized tour which I have booked for this afternoon. We’ve decided to spend the morning seeing the Western Wall and Temple Mount from above ground first. 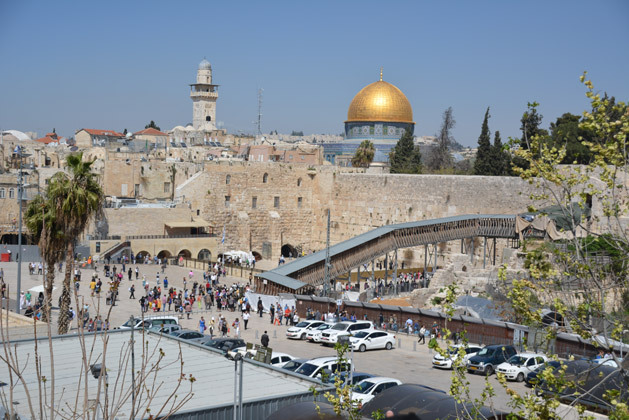 What is the Western Wall and Temple Mount? – The Temple Mount is a man-made raised flat surface, built on top of Mount Moriah, and is where Judaism faith believes that God chose to rest his divine spirit. – On top of Mount Moriah once stood Solomon’s Temple which was destroyed in 586 BC. A second Jewish temple, simply named Second Temple, was then built in 516 BC. – In 19 BC, Herod the Great decided to protect the mount where the Second Temple stood by artificially expanding the area and created four large retaining walls, the Western Wall being one of those walls. 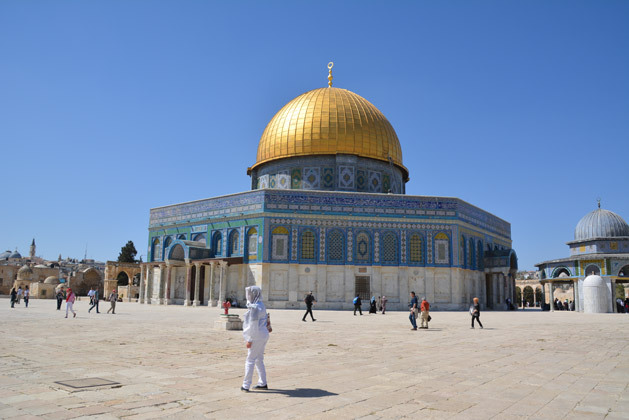 – In the New Testament, when you hear of Jesus going to the temple, or turning over tables at the temple, the Temple Mount is where it is referring to. Only the high priest was allowed inside the actual temple itself. – Today, the Western Wall has original stones that are still intact from the period of the Second Temple. While a big portion can be seen in the photo above, the majority of the original wall is now underground. 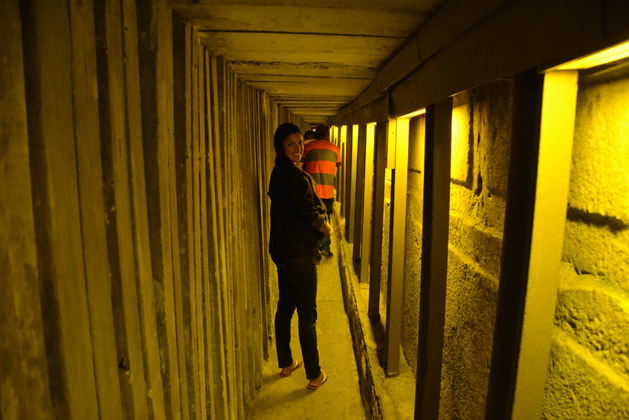 The tour we are taking today is of a tunnel that was dug alongside the original base of the Western Wall, and is one of the few areas where you can actually walk on the original streets from the times of Jesus and the Second Temple. Weeping for the loss of the Second Temple. Today, the portion of the Western Wall above ground is considered one of the holiest places in Judaism. 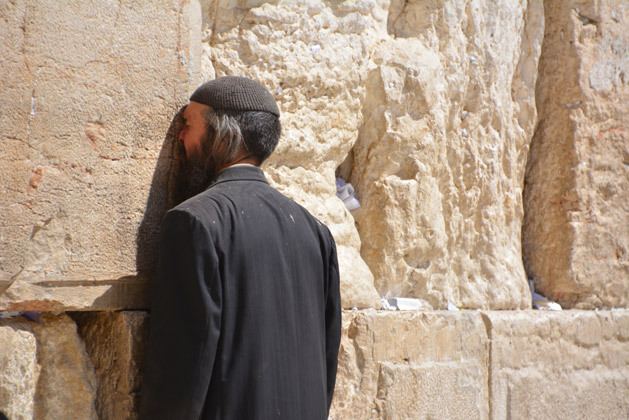 For hundreds of years, this wall was the closest a Jew could get to the site of the former temple, and it has been used as a place for both prayer as well as mourning for the temple. The photo above is of a man we saw every day while in Jerusalem. For three straight days we saw him with his face against the wall, mourning for the temple. I am not sure if he ever went home at night, but you can see on his shirt that there are pigeon droppings. Talk about dedication! The wall is separated into two areas, one for men to pray and one for women to pray. The men’s area is significantly larger, and also features an indoor area with more seating and shade. This is where things start to get a little complicated. After the Romans destroyed the Second Temple in 70 AD, they built a shrine to Jupiter in its place. 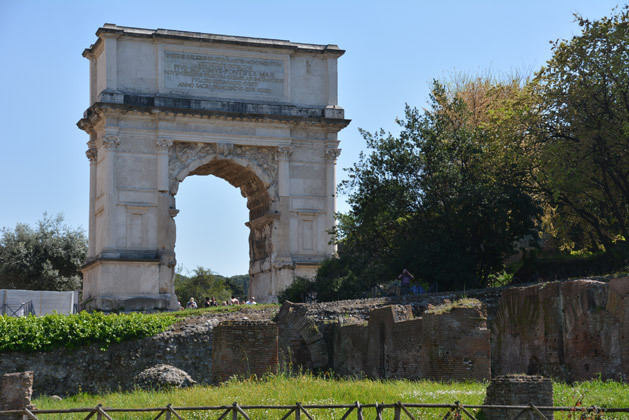 Over the next 600 years, the site saw smaller temples and shrines built and destroyed as the Romans changed religions and as Jews were allowed back into the city. However, Arab armies took control of the city after the Muslim Siege of 637, and soon after they built the Dome of the Rock, the structure seen on top of the Temple Mount today. The Dome of the Rock located in the former site of the Second Temple. 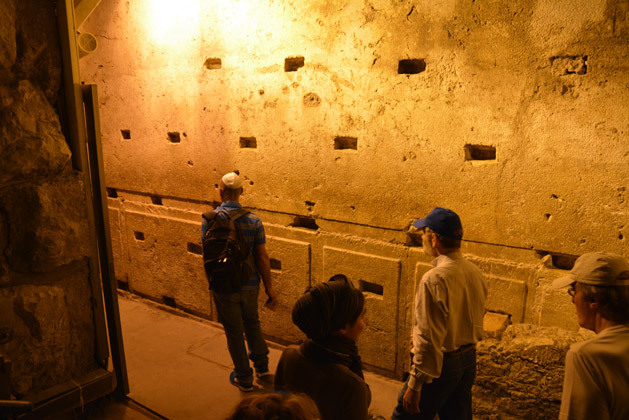 The underground tours are all run by the Western Wall Heritage Foundation and tours can easily be booked on their website. The first stop on the tour is a room where we are given a brief history of the Temple Mount and Western Wall (better than my recap above!). We then head down some stairs and get our first glimpse of the base of the Western Wall. The original Western Wall, built before Jesus was born, over 2,000 years ago. We are allowed to touch and analyze the wall and our tour guide then points out what I think is the most amazing part of the wall. It’s called the Western Stone, and it’s considered to be one of the heaviest objects ever lifted by man without powered machinery. Large doesn’t even do it justice. It is 44.6 feet long (13.6 meters), 10 feet high (3 meters), and about 10 feet wide. It also weighs over 500 tons! The Western Stone is the large stone in the middle and the whole stone couldn’t fit in one photo! It is even more amazing when we find out that we are still 20 feet above where the street level was in those days. This rock was not only lifted, but it was lifted over 20 feet high. The holes in the rock were added many years later to help plaster the walls so they could be used as the wall of a cistern. After seeing the Western Stone, we continue our descent until we finally reach the street level from the Herodian Period and the time when Jesus would have walked here. As we walk along the Herodian street level, we come across some deep holes with glass coverings. The holes that were dug along the wall go all the way to the bedrock. 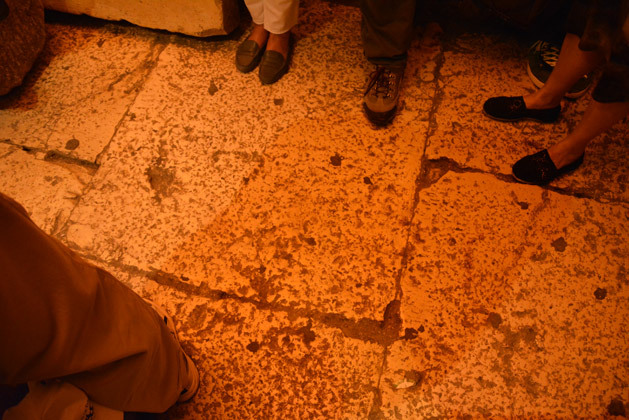 These are the stones of the Western Wall that were underground from day one. The glass was dirty, so my picture does not do it justice, but it was amazing to see the details in the stones that have been buried from 2,000 years and untouched by fire, war, and other destruction that the rest of the wall has endured. Looking down to the bedrock with the Western Wall stones on the right. The most amazing stop of our tour comes at an ancient intersection. We come across two pillars that mark where a road would have met the wall. This would have been the beginning of the main market street in those days, and that has been verified by the thousands of coins that have been found here. The street here is also original from the times of Jesus, and it is the only place you can go in Jerusalem that gets you this close to where he and his disciples walked, shopped, and lived during their time in this city. This spot is particularly hard to photograph, but I did my best on the photo to the right. You can see one of the pillars in the bottom left, and the Western Wall is on the right. The reason I shot the photo looking upwards was because I wanted to show how open this spot must have felt 2,000 years ago. This wasn’t always a tunnel, but was once an open-air intersection at the center of the city. Though the walls and scenery around us are spectacular, I still can’t keep my eyes off the floor. This original street still looks and feels amazing. Touching it transports us back thousands of years, and I imagine with years of being protected by the Earth, the floor is probably in similar shape as it was in back then. The tunnel tour was one of the highlights of our time in Israel, and was actually done on our last day in Jerusalem. 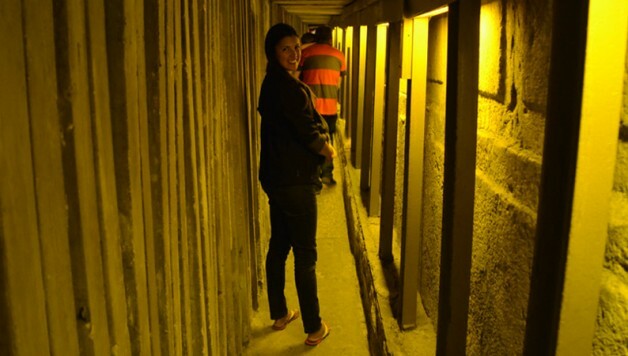 We had to do it on our last day since these tunnel tours are not usually included in Holy Land tours. If you are coming to Israel and have an extra day in Jerusalem, I highly recommend booking a tunnel tour! 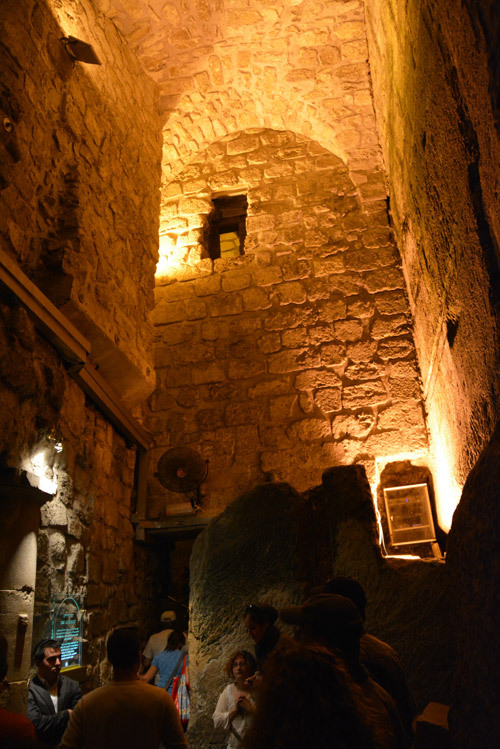 …Streets dating back to the Herodian Period and the time of Jesus. My husband and I (and his parents!) 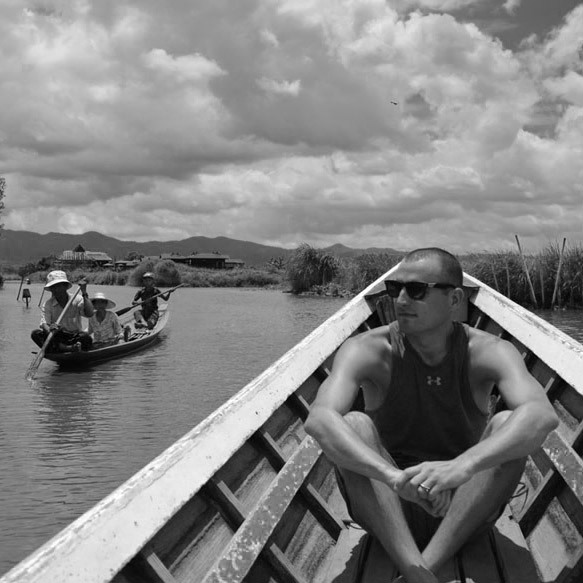 are doing a similar tour with Inspiration Tours through Israel for 10 days this October! Love seeing the spots you’ve visited during your experience!